Grant Recipient: Ozaukee Washington Land Trust, Inc.
Ozaukee Washington Land Trust ($39,200)This $39,200 award will support the wetland restoration of 183 acres across four properties in the Milwaukee River Watershed in Ozaukee County. 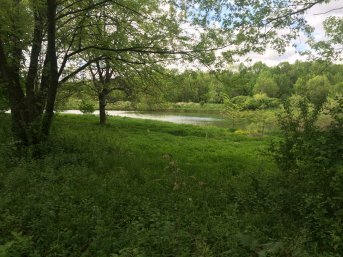 The Ozaukee Washington Land Trust’s restoration activities will include: removing invasive species; planting native buffers and other native wetland and prairie plants; and monitoring water quality in the long term. Not only will this project restore nearly a mile of shoreline along the Milwaukee River over the next two years, it will also filter and store agricultural runoff before it enters the waterway.